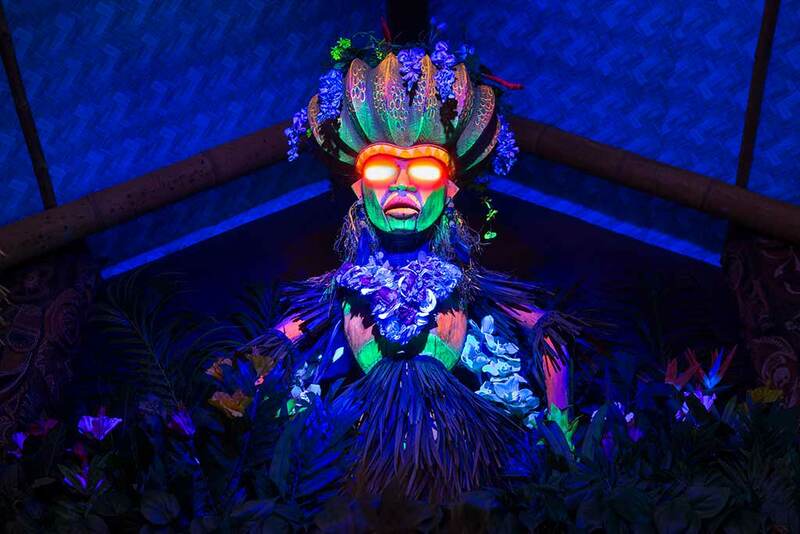 Trader Sam’s Grog Grotto is the latest addition to the newly reimagined Disney’s Polynesian Village Resort. Located off the Great Ceremonial House, the themed lounge will serve exotic drinks and small plates, while offering scenic views of the marina and Seven Seas Lagoon. 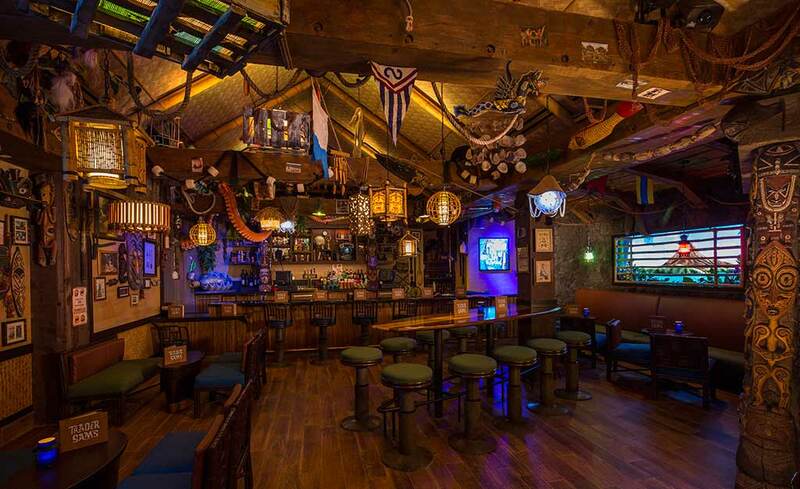 Founded by Adventureland’s famous “head” salesman, Trader Sam, the Walt Disney World Resort version will have some similarities to the original Trader Sam’s Enchanted Tiki Bar at the Disneyland Hotel in Disneyland Resort. But magical theming will reflect its new resort location. 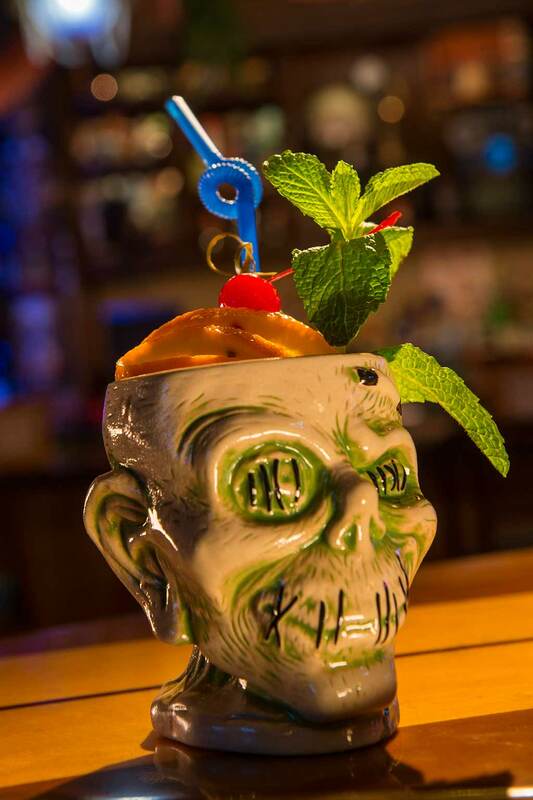 Guests are welcomed to Trader Sam’s, a South Seas hideaway, to explore a menu full of “magical tropical drinks and food,” and while the Walt Disney World version will share a few exotic cocktails and small plates from the Disneyland location, it will have its own menu, according to Chef Lenny DeGeorge. 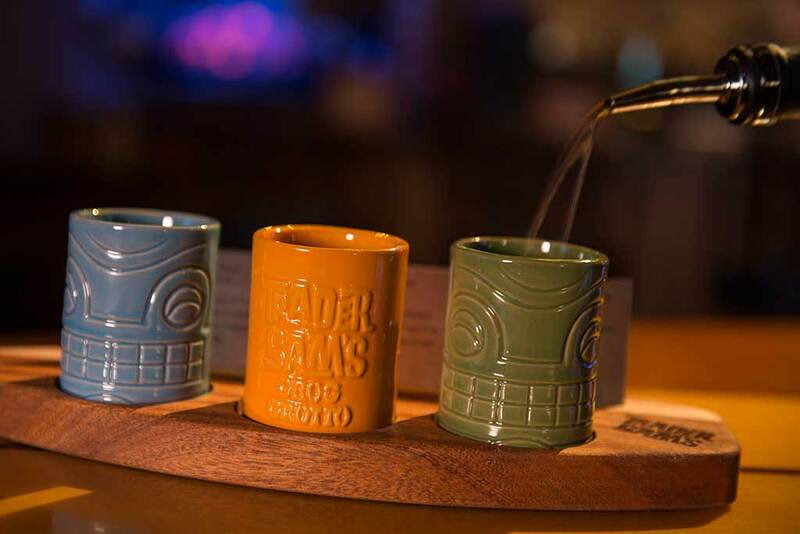 The famous Trader Sam cocktails, available in Disney collectible Tiki mugs, are a mix of old and new.